We used this plan as a guide but changed a few things. 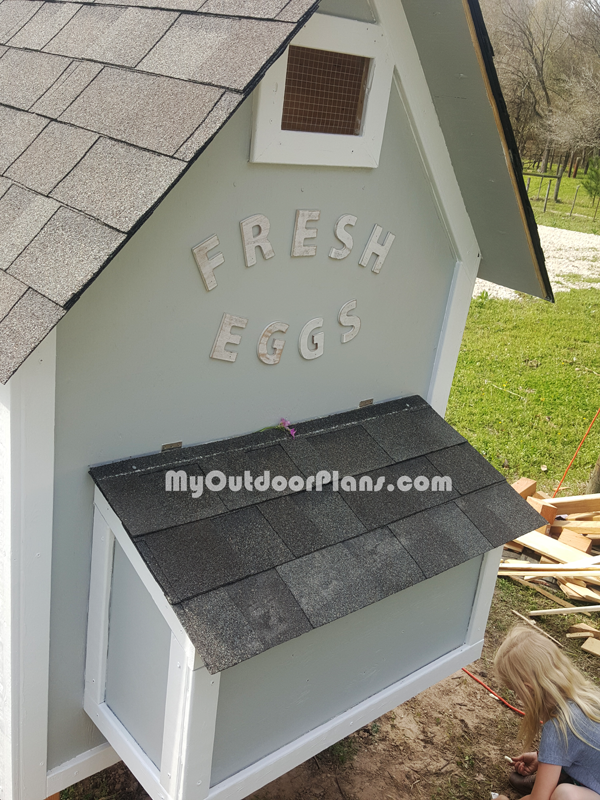 We put our coop on posts and used full sheets of plywood so it measures 4’x8′. 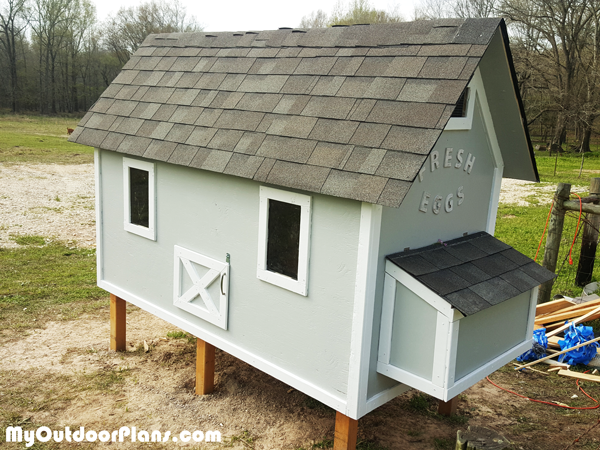 The tallest part of the coop is around 5.5′. 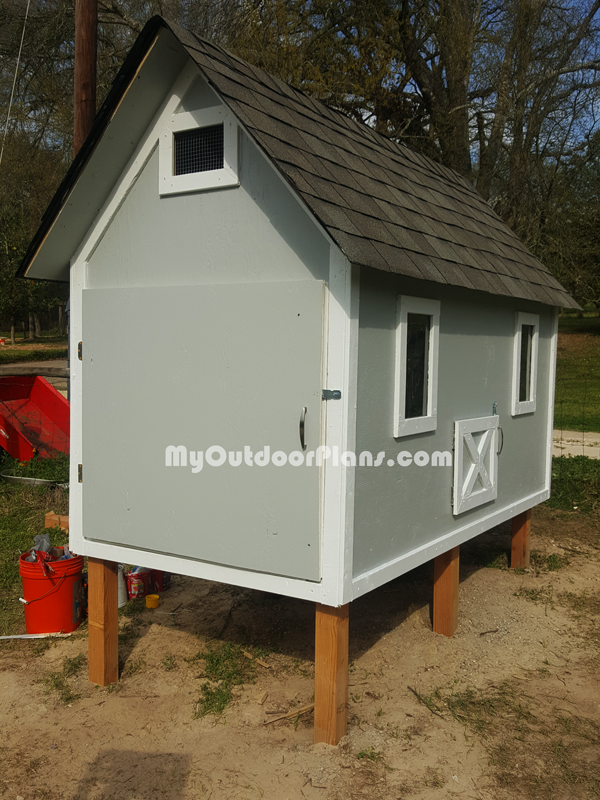 We also put the chicken door & 2 windows on a long side. On the short side opposite of the nesting box, we added a large clean out door.